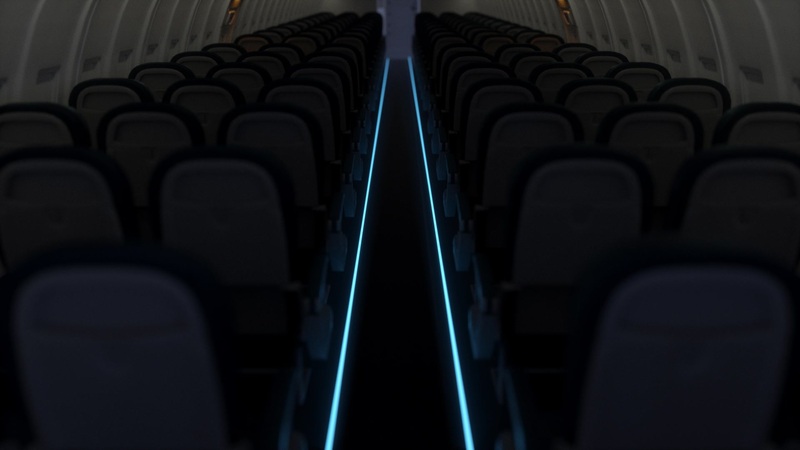 A full suite of LED cabin lighting systems available for both Boeing and Airbus aircraft. The highest performing photoluminescent floor path marking system available. Photoluminescent emergency, informational and customized signage. Beautifully balanced, precise lighting for increased passenger comfort. 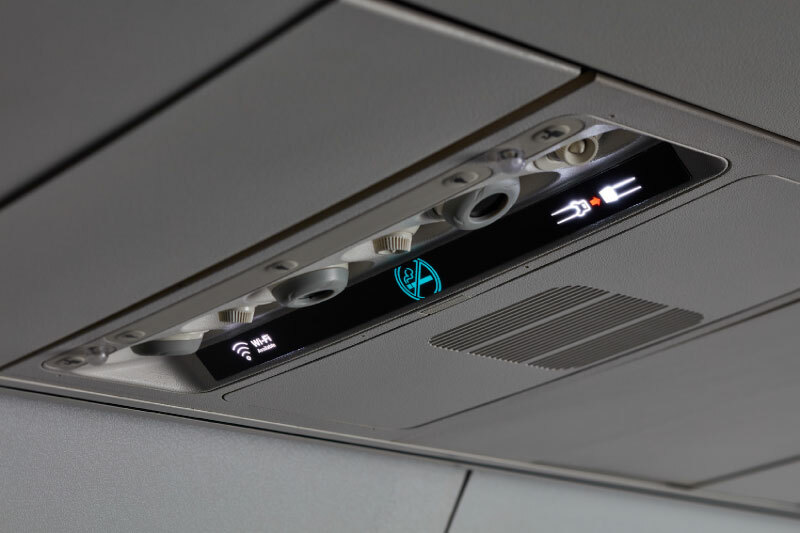 A simple retrofit solution for effective messaging on-board 737 and 757 aircraft. We develop aircraft cabin lighting solutions for the aviation industry, including photoluminescent path marking systems, main cabin lighting systems for Boeing and Airbus aircraft, emergency and custom photoluminescent signage, LED reading lights for 737 and 757 aircraft and modernised, replacement lenses for the ‘No Smoking Fasten Seat Belt’ sign. Since 1995, we have used the foremost patent companies to support and secure 50 global patents, granted and pending, covering all product applications and designs in aerospace. The highest performing photoluminescent floor path marking system available, approbed for almost all aircraft types. Available in over 300 daytime colours with 2 glow colours. 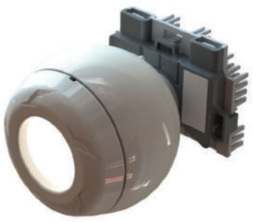 The tamper-proof module simply locks into the existing incumbent OEM housing with no need to remove the light fitting or PSU. Photoluminescent emergency, informational and customized signage that is 100% fail safe. The new patented PSU lens is a lighter, simpler, retrofit solution that can be customized to provide effective on-board messaging to all passengers on-board.